Following a nice day out at Longbridge yesterday, I decided it was time to stop ignoring all those little cosmetic issues that my Polski-Rover has and get them sorted once and for all. Don’t worry – by that I don’t mean that it’s rusting or has picked up some nasty stonechips – but what has been niggling me (and you, judging from the feedback I’ve had) is the lack of a bonnet badge, the incorrect door mirrors and the hubcaps, all of which are missing their centre caps. The mirrors had been bothering me the most and, considering the rarity of the rubber items used on the original SD1, I thought it might be a case of living with them for quite some time. Except that the day I rolled up into the office for the first time in my new car, colleague Mark Dixon, produced a brand new one from a fresh Unipart box. Wow. 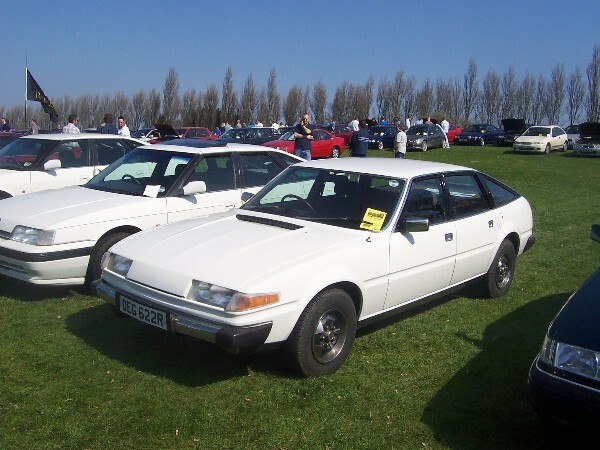 Of course, one isn’t good enough really so, after posting a notice on the Rover SD1 Owners’ Club forum asking for one, fellow member Tim Leech shouted that he had one. And so, that’s why at Longbridge yesterday, he’s coming up to me with another fresh Unipart box in his hand, saying ‘here you go’. Wow again. 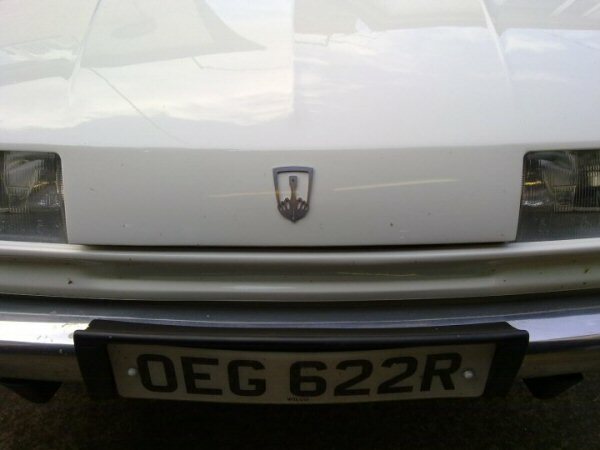 The bonnet badge was also a problem. The Poles had lost the original and, when restoring the bonnet, they decided to fill the mounting holes with brass. Not good when you need to fit a new badge. Anyway, in the end, I removed the fixing pins from the back and trim-taped the elegant looking skeletal badge to the front of my car. Again, I haven’t particularly missed it, but now it’s on, I think it looks great. The hubcaps – again – have their correct badges in the middle and look great all polished up. My car now therefore looks complete. Those missing items may not have been any real significance but, now they’re on, the magnificence of Bache’s design stands up under even the closest scrutiny. 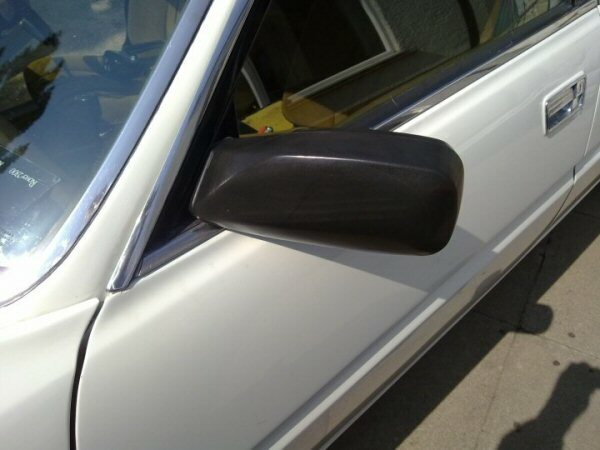 Polski-Rover has the correct mirrors now! Looks great! A car always needs a badge! Please, please, please keep us up to date about her whereabouts these coming months. Please let us know how LPG is making your car perfectly useable and cheap to run everyday! Is she coming up to Newcastle soon? Keith well done on the SD1 S1, how may of the SD1 Series one is there left on the road? wow!! what a fantastic job done!!! 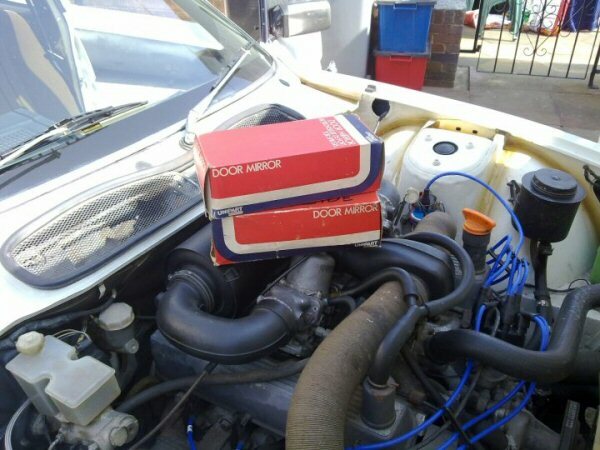 you’re fueling problem was exactly what i had in my old sd1 years ago…..1991 i think!haha!!! glad to see there are still fans of these great cars out there!! well done!! !